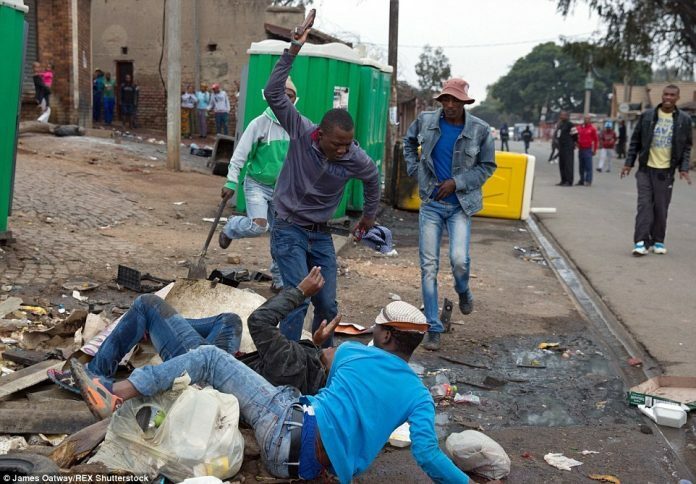 It was learnt that the latest victims – Bonny Iwuoha and Goziem Akpenyi – were stabbed to death during xenophobic attacks in Johannesburg and Cape Town on April 5 and April 6. The Assistant Public Relations Officer, Nigeria Union in South Africa (NUSA), Odefa Ikele, confirmed the killings in a telephone interview with the News Agency of Nigeria (NAN) from Johannesburg yesterday. Ikele said: “The Nigerian community lost two citizens to gruesome murders over the weekend. Mr Bonny Iwuoha, 48, from Ihitte/Uboma in Imo State, was stabbed to death at about 11:45pm on April 6, in Johannesburg South. He said that another Nigerian, Goziem Akpenyi, also lost his life in similar circumstance on April 5. The NUSA spokesman said: “Akpenyi was allegedly stabbed to death by three unknown coloured South African men after an argument with the deceased. “The incident took place at Bellville Stadium parking lot in Cape Town at about 1 p.m. on Friday, April 5.